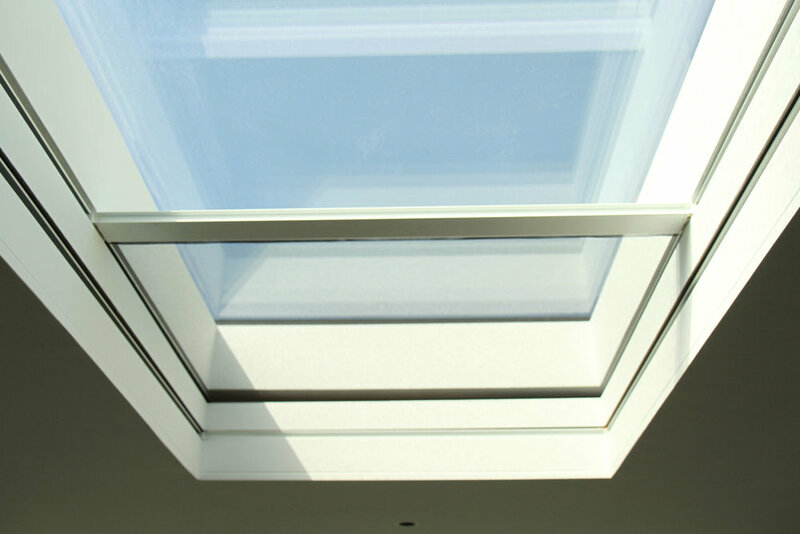 Skylights and roof lanterns are becoming very popular in high-end residential houses, extensions and garden rooms. In 1982, when we started to manufacture and install Genuine French Pinoleum Blinds in conservatories, blinds where considered an interior detail when a building was built. Today, architects and interior designers anticipate future needs and they see shading as an important feature of a house. With roof roller blinds, this is essential as blind cassettes, cables, side channels and wires are best concealed inside the ceiling. 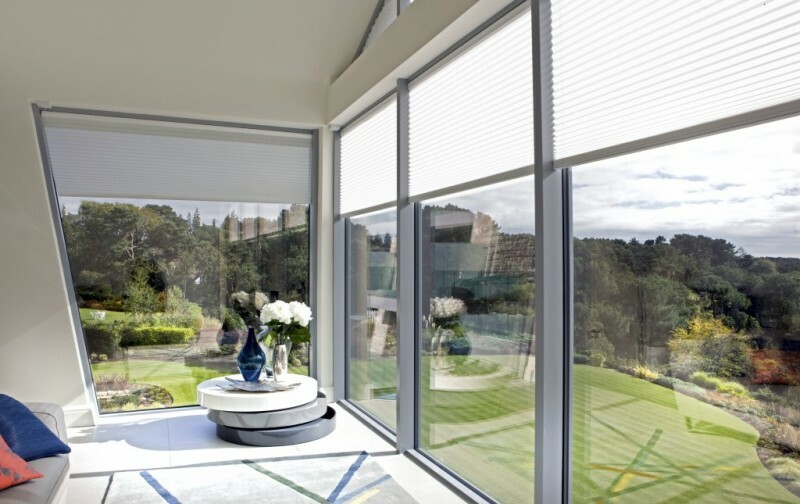 Just as normal window roller blinds, roof roller blinds can be used to gently filter sunlight, reduce glare, protect floors and furniture from the sun (UV fading), or if considered early enough, as a complete blackout in a media room or bedroom. 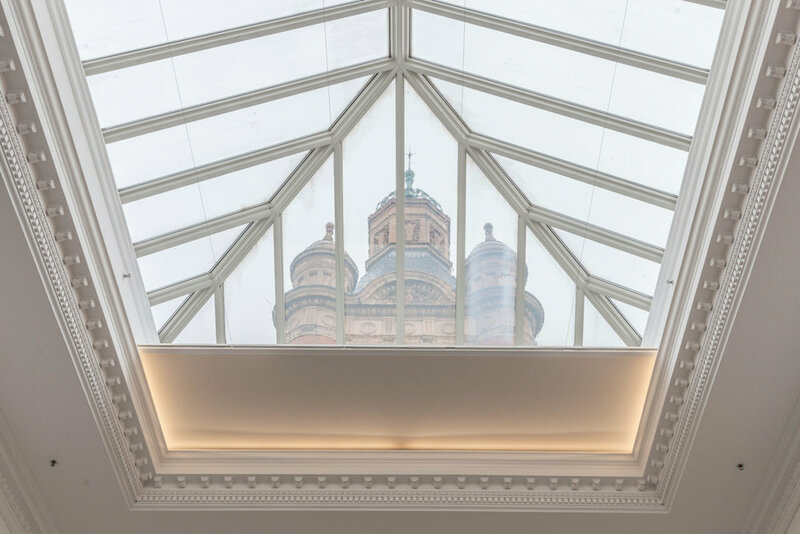 In roof lanterns and domes, there can be extreme temperature ranges and Grants fabrics are often provided with reflective backing and heat reducing properties. In our showroom, we demonstrate dual roof roller blinds with fabric/blackout in two skylights and fabric/insect screen in another one. Roof roller blinds need to work against gravity and the bigger the skylight, the bigger the challenge. To minimize sag in the blind, heavier hem bars are used and the fabric is being tensioned by a very clever system. This is accomplished using side tracks and/or guide wires. Tensioned roller blinds can be installed in any direction and for very long skylights (8+ meters), two roller blinds can meet in the middle. We have different blind systems to suit individual requirements and can do an opening up to 3200mm wide with no visible guide wires. 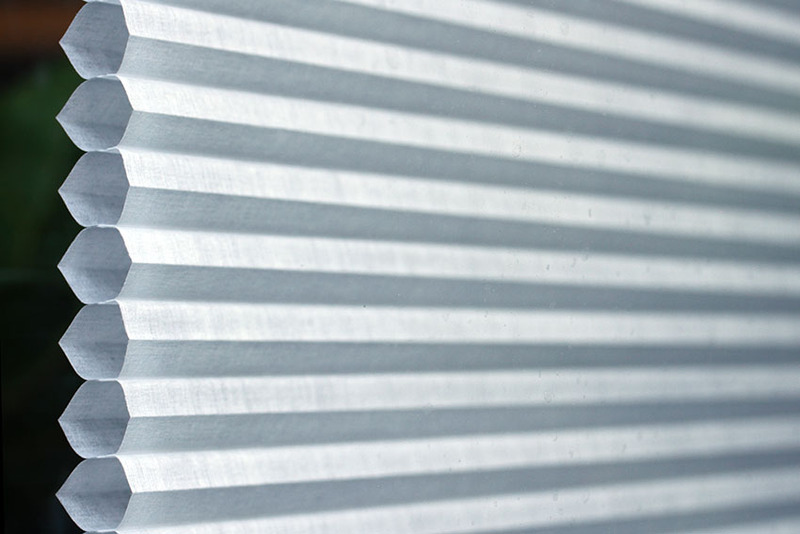 While small roof roller blinds can be operated manually, most installations use electric motors that are fitted within the barrel of the blind. With electric operation, it is possible to operate all blinds individually. However, we can group blinds together and also operate all blinds together through a wall switch, remote controls or we can work with all home automation system. Most of our installations of roof roller blinds are concealed today using Blindspace® boxes. 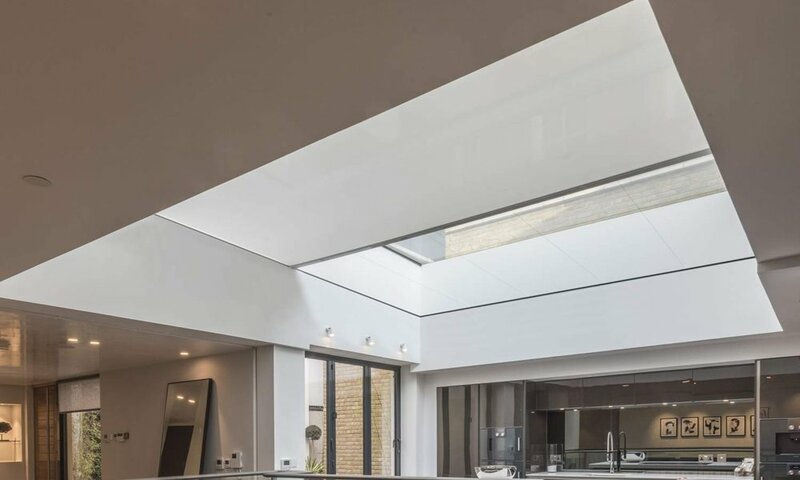 When possible, a complete frame is installed on all sides of the skylight to have everything concealed, including the hem bar when the blind is open. 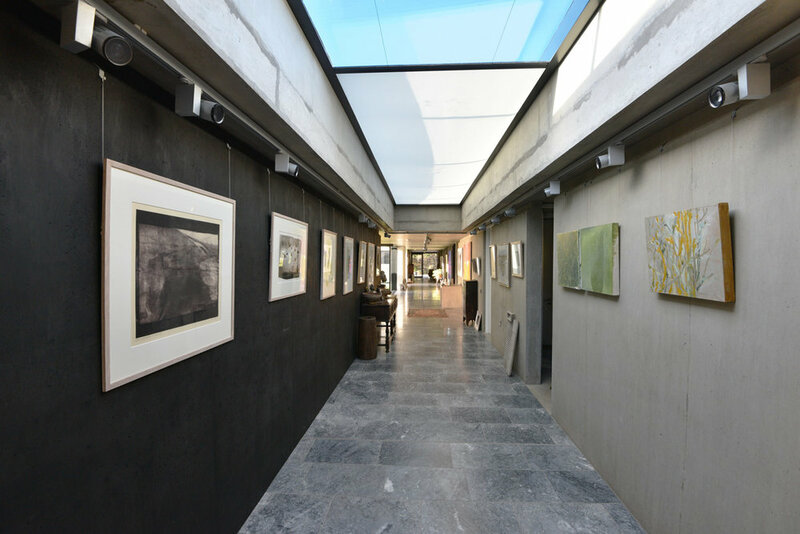 Grants work with many innovative architectural glazing companies, some of which have complicated situations with glass fins, glass-to-glass corner connections, or bent glass, where thin visible wires are needed to guide the hem bar. 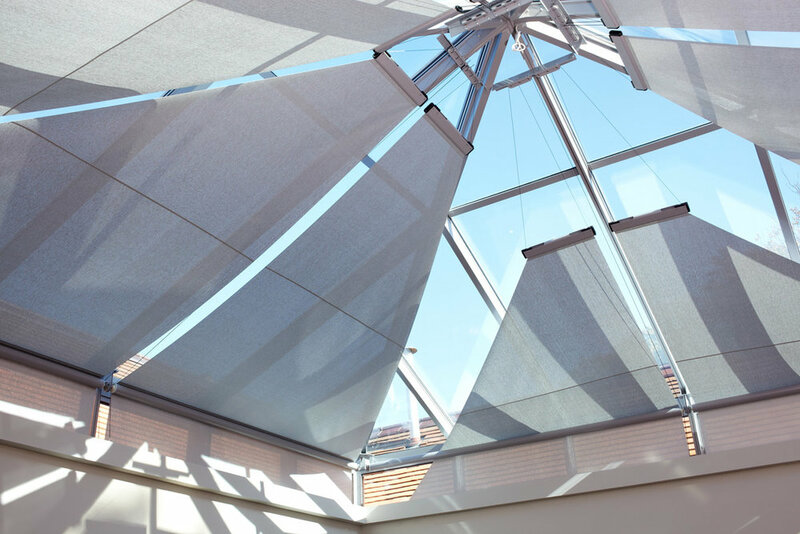 In most cases the roof roller blind is fully concealed when not in use, and only fabric is seen when in use.